The world economy is still unstable and everybody is affected by the slightest changes. As a result, businesses can go awry and every single pay check counts. At a time when cash is so hard to come by, it’s only practical to go for economical alternatives, even when it comes to moving. Relocations are a serious matter for anyone, most especially for families. And if you’re planning an interstate move, the pressure and expenses are doubly worse. Lucky for you, we’re listing down some tips on how you can plan an economical interstate move. When shopping for clothes, we all know that some brands are more expensive than others. In the moving industry, the same principle holds true. If you want to save up on costs, it’s a wise idea to avoid the more well known brands. While there is a lot of security in hiring brands that are popular, you can still get the same quality of service for a much cheaper costs. Just make sure that you do your research well and find moving companies from reliable sources like Top Mover Quotes. While it is a much faster way to travel to your new home via an airline, it is indeed very, very expensive. With that being said if you want to save some money, you should consider travelling by the road instead, using your own car. Aside from being cheaper, a long roadtrip is also a much memorable experience. Just ensure that you have planned out your route well, and are prepared with supplies needed for the long journey. Make sure that your car is tuned up and ready for long distance travel, and also, don’t forget to check for weather updates so you don’t get stuck somewhere due to bad weather. When you’re out looking for moving companies, there’s a huge possibility that you’re going to be dealing with agents (or moving brokers) instead of actual movers. Some people pretend that they are part of a moving company, or own a moving company, when in reality, they are only middlemen or sales agents who get commissions from the actual movers (or truck owners). So if you want to get better prices, it’s a wise idea to go straight to the source and avoid the additional costs put on by the agents. Full service movers don’t offer their services for free. The more work you pass on to them, the higher they will charge you. So if you’re short on cash, you should just do as much work as possible. For example, do the packing yourself and load it into the truck as well. Ask your friends and family to help with these activities because it may be too much for just one person. Interstate travel is much more popular and in demand during summer where the weather is more favourable and the timing is easier. The same goes for weekends and month-ends. The problem is, since a lot of people are eyeing these dates, the moving costs tend to be higher. Therefore, to make your move more economical, choose a date that is not too desirable for most people. There are some people who prefer autumn, even winter moves. But of course, a constant weather check is still best for this option. 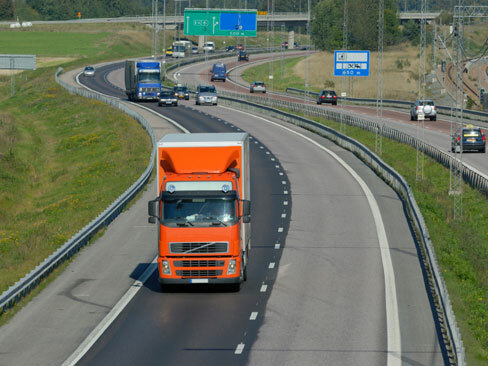 Lastly, in order to have a more economical interstate move, it’s always best to get more than one price quotation. Just to be safe, you should compare at least three (3) moving companies. This way, you can go over each proposal and compare the prices as well as the included services. Make sure to keep an eye out for additional charges too. To find the best movers with the prices, look no further than Top Mover Quotes. In just a few clicks, we can bring you top quality movers who can give you their price quotations in the quickest possible time.